The Royal Oak/The Grumpy Mole, Caterfield Lane, Staffhurst Wood, Oxted, Surrey RH8 0RR. The start is here. (depending on how much you talk)! If you would like to stop for lunch please let us know so we can inform the pub. The lunch menu is on the pubs website. Lunch is served until 3pm and is payable directly to the pub on the day. Wear layers, layers and more layers! It maybe sunny or there maybe snow, who knows? Last year it was 9 degrees with both snow and sunshine. It is definitely welly weather as the ground is quite muddy. Led by Lee we will be following the self guided route indicated by the green arrows. The 2 mile route can be found here. The walk has been risk assessed and you will be asked to sign a disclaimer before participating. Walking is one of the safest and healthiest activities, however it is muddy in places, there are exposed tree roots and overhanging branches along the path. 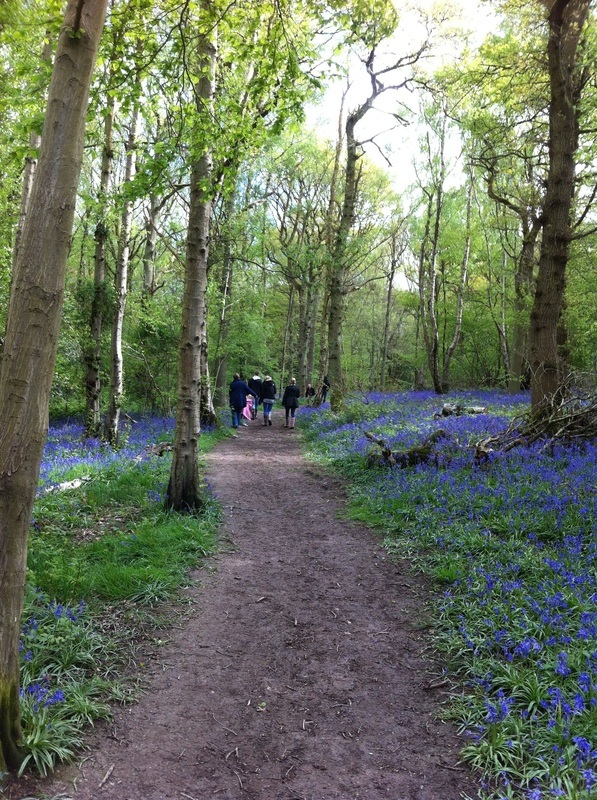 The route is a designated public walking path and is well maintained by The Woodland Trust. Oxted Networking and their guides cannot accept responsibility for any circumstances affecting the Health and Safety of the participants. We will have a basic first aid kit with us just in case of injury. To pub or not to pub? If you would like to join us at the Royal Oak Pub/The Grumpy Mole for either a drink or some warming lunch please let me know. This was our first ever netwalk on 27th April 2016. ​Second walk 20th April 2017.